Francis Murphy: As you can see I am submitting you a photo of me jumping at the Mississippi State Fair. 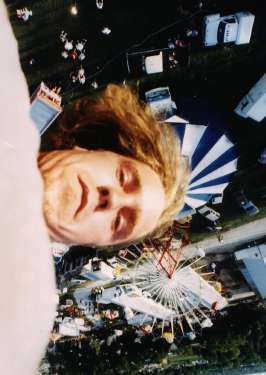 The photo was taken in 1994 when I was a jumpmaster for Bungee Plunge in the US. I now reside in the UK and found your site and thought you'd appreciate this unusual picture of me with a triple chin, which was taken for a newspaper. Hi my name is Damian, I live in Argentina. 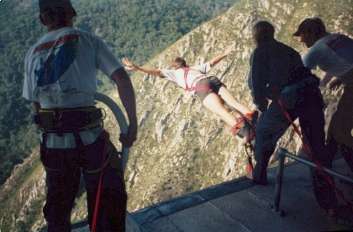 This is a Picture of my Jump from the Bloukrans River Bridge in South Africa, , I hope that they like... my jump was done in March of the 2001. Last year me and my girlfrined jumped in Nepal (near the tibetan border) from a hanging bridge. The jump was 160 meters. 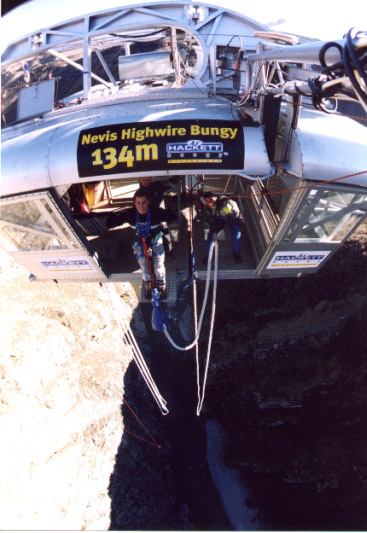 The second highest jump in the world (at that time). 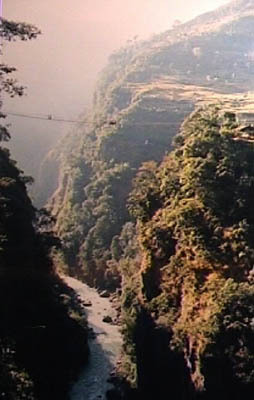 Here's the link to the organisation http://www.visitnepal.com/thelastresort/500ft_bungy_jump.htm That day we went rafting in the wild river below which was much more 'frightning' . For $75 you can go to the last resort, stay a night and jump !!! Click for an MPEG Movie This is Brandon jumping at the Nevis in NZ. Check out his webpage.